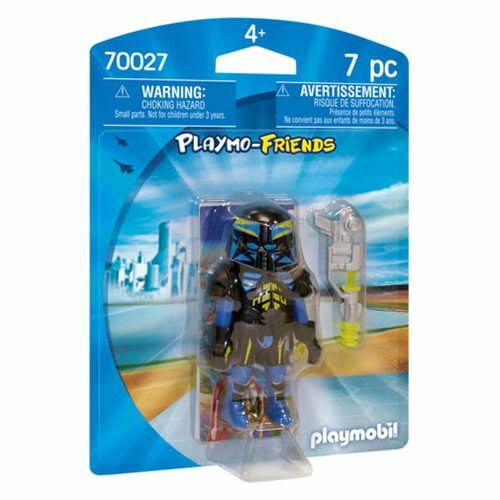 Save the galaxy with the Playmobil 70027 Playmo-Friends Space Agent! 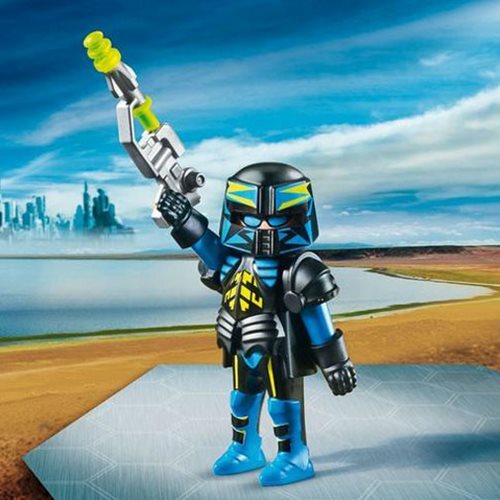 This 3-inch figure has a removable helmet and out-of-this-world blaster for cosmic calamaties. Black and blue with green highlights, this brave warrior is here to save the day!